Who Is Katie Fallin Kenyon, Ph.D.? Looking back at her childhood, two simple pastimes stand out the most for Katie Fallin Kenyon: fond memories of playing outside until dark, and the countless hours she spent taking care of her “baby” doll. These positive and healthy experiences, coupled with being raised in a loving and nurturing environment, left a deep impact on Katie. So did her family’s trait of selflessness and giving back to others in need. Her mother, a former nurse, spent time volunteering for a suicide hotline and was the first person to step in when a crisis occurred, such as a family member or friend facing a terminal illness. That sense of responsibility for helping others was ingrained in Katie from a young age and fueled her motivation to work in the field of education. For Katie, caring for children and the underprivileged isn’t a matter of choice, but a duty. Katie received her bachelor’s degree in Psychology from Scripps College. While working on her PhD in Applied Developmental Psychology at Claremont Graduate University, the opportunity to participate in several children-centered programs set in motion a chain of events that changed her life forever. Katie spent several years as an assistant in an infant-toddler center-based program, where she gained valuable experience about the importance of applying best practices to the proper care and development of babies, while also learning the importance of responding quickly to a child’s individual needs (verbal and nonverbal cues). Through a policy fellowship called “Putting Children First” in New York City, she spent time at shelters serving homeless families and witnessed the many pathways to homelessness (including family violence, drugs, mental illness, etc.). This gave Katie her first real exposure to the intersection between applied research and policy, and the important role that researchers play in shaping community change. Katie also served as a program coordinator in Los Angeles, working with high-potential, low-opportunity/low-income high-school-age youth during a summer job training program. One very polished young lady in the program made a big impression on Katie, as the young lady shared a number of stories about the trauma that she endured as a child (including that she intentionally gained weight to look more intimidating as she walked her younger siblings to school in her gang-infested neighborhood in South Los Angeles). Katie was struck by this young woman’s positive outlook and success, despite the many challenges she faced in early childhood. This inspired Katie’s desire to further study the concept of resilience. These three hands-on training experiences fueled Katie’s desire to change systems and shaped her career choice to focus on reducing risks and increasing protective factors for young children. She believes that her own positive childhood and family experiences is the reason she feels the need to help others who didn’t benefit from the same kind of environment. When the opportunity arose to work for a new agency called First 5 LA back in 2000, Katie jumped at the chance. She has the distinction of being one of the first employees hired at the organization, and she began as a research analyst. Over the next 17 years, she made significant contributions to the work being done by First 5 LA in the areas of quality early education, early child assessment, evaluation, research, program design, strategic planning, performance measurement, personnel management, coaching, budget development and project management. Katie is also a working mother and knows firsthand the importance of quality child care and preschool programs. Her daughter was in full-time child care since infancy, and experienced a well-rounded and nurturing environment. This continues to motivate Katie in her work at First 5 LA to help ensure that all children, no matter what their socioeconomic situations are, have access to high-quality early learning experiences and reach their full potential. 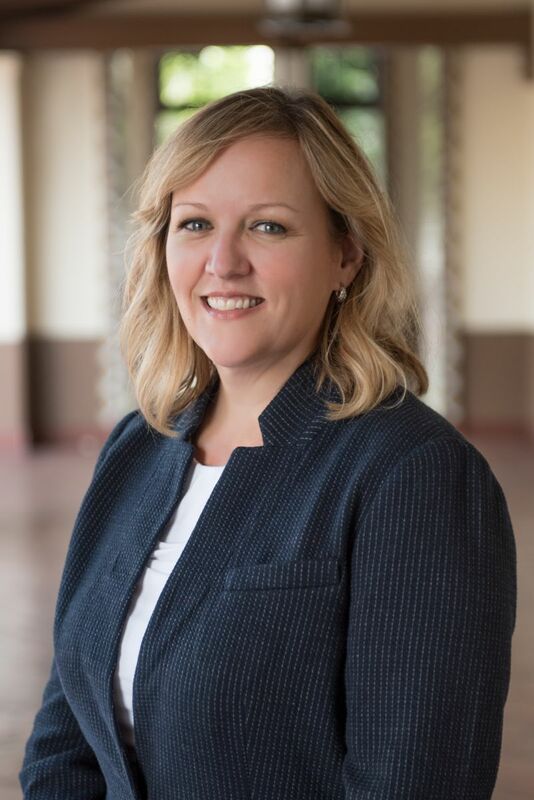 As the Director of Early Care and Education for First 5 LA, Katie oversees the Early Care and Education (ECE) department at First 5 LA, which involves working to increase children’s access to quality early care and education. This is done by advocating for greater public investment in ECE. This affirmative attitude has made a lasting impression on those who have worked with Katie. The biggest task under Katie’s charge is working on the Quality Rating and Improvement System (QRIS) program. QRIS is a systemic approach to assess, improve, and communicate the level of quality in early and school-age care and education programs. In Los Angeles County, First 5 LA is partnering with a variety of organizations — L.A. County Office of Education; Child360 (formerly known as LAUP); Child Care Alliance of Los Angeles; L.A. County Office of Child Care; Los Angeles Child Care Planning Committee; and Partnerships for Education, Articulation, and Coordination through Higher Education (PEACH) — to design a single QRIS in L.A. County based on lessons learned both locally and nationally. First 5 LA Alternate Commissioner Keesha Woods, who serves as Executive Director of Head Start and Early Learning for the Los Angeles County Department of Education, praised Katie for her work to promote quality early education. Katie’s team is also involved in other top early education projects such as the Kindergarten Readiness Assessment; Partnerships for Education, Articulation, and Coordination in Higher Education (PEACH); and the ECE Policy and Advocacy Fund. She was in a commercial as a child (the product was to help soothe an upset stomach!). She ran a small business for a few years making handmade jewelry. She lived abroad in Paris, France, while in graduate school.